I'm surprised there is no blog written about this one. 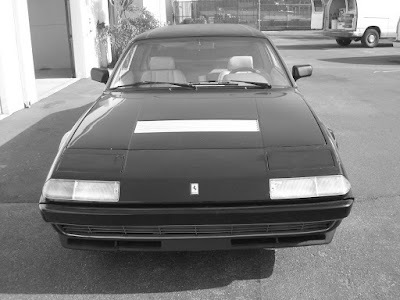 Perhaps I skipped it because it was already visible on the Ferrari 400 European Club website. As I stumbled upon a picture and actually did not know that much about it I thought to do a little more research. Much of the below is a copy and paste of other material I found and added with a little more text by myself. To start with is the company that build this car; Mardikian Engineering / Trend Imports, based in California, was an importer of Lamborghini, Ferrari, and Rolls-Royce but it also "federalized" and modified European hi-end sports cars, thanks to its DOT-EPA- Engineering facility. Mardikian headed two different Companies: Trend Imports, focussing on importation and sales, and Mardikian Engineering, in charge of federalizing and upgrading all kind of exotic European cars. 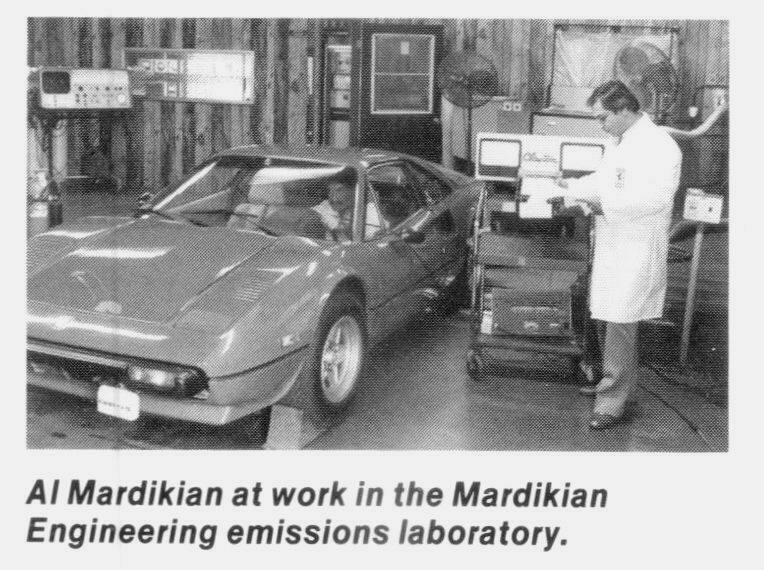 The "workshop-laboratory" of Mardikian Engineering (here below) had emission control measurement equipements and Mardikian's engineers were not only capable of making Ferraris and Lamborghinis DOT- and EPA- legal, but also of increasing their performance and comfort. 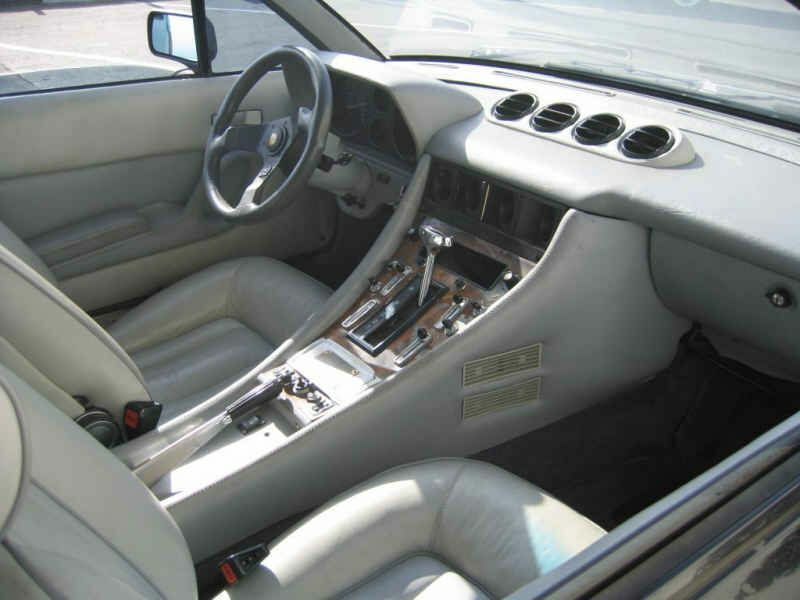 The Porsche 930 Turbo, once upgraded by Mardikian Engineering delivered more power than the European version. 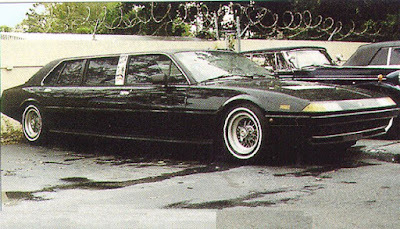 Mardikian's "federalization" was very controversial, and eventually led to serious legal litigations, which as a consequence, limited Mardikian's production to a couple of very rare cars. The Ferrari 308 GTSi, in its Mardikian version, delivered 230 HP instead of 205 only for the US standard Ferrari version. 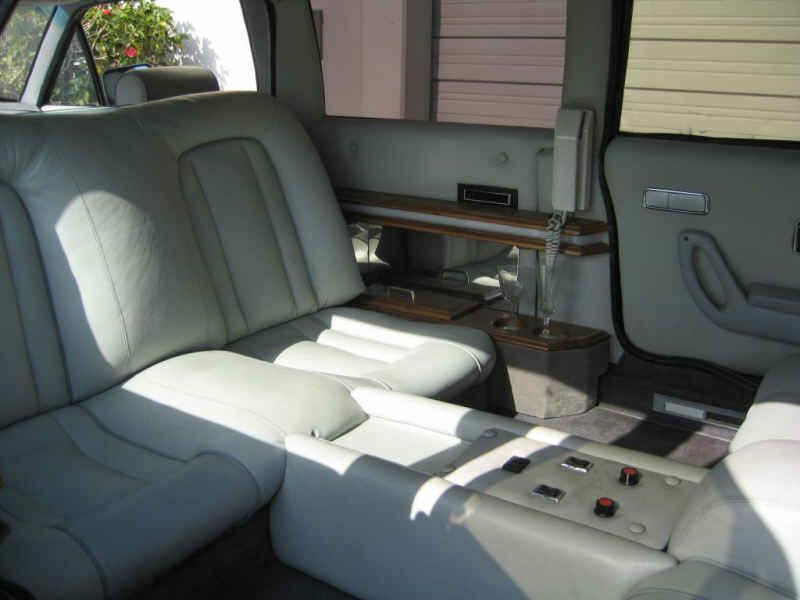 For any model, Mardikian Engineering could provide their clients with more power, as in addition to very special luxury equipments. This was the exclusive feeling that clients, wealthy VIPs demanded. Mardikian also imported the Mercedes 500 6.9, of course once again the top of the range. 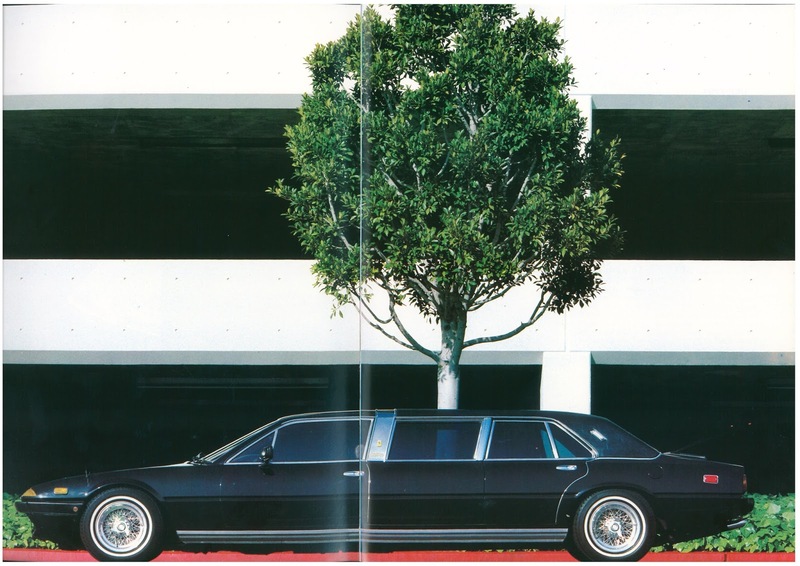 Mardikian used to work with Giacobone Executive Coachcraft as a partner for coachbuilding and bodywork modifications. 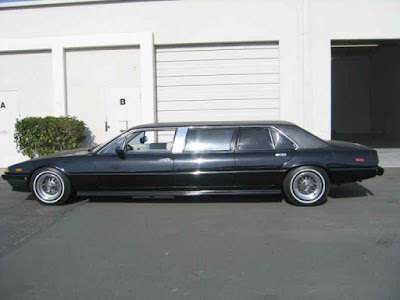 Nick Giacobone, CEO, then launched another Company specializing in luxury on-commission limousines. Albert Mardikian had managed to make a dream true. The dream of a few wealthy American citizens who could afford to drive top-of-the-range European Sport Cars in spite of the Federal rules. Mardikian was man of ambition of many competencies and talents : through our history research, we learned that he had an even greater project : to build his own car, and to found his own automobile manufacturing Company. A Newport Beach entrepreneur, who has been called the nation's largest importer of so-called "gray market" automobiles, has pleaded guilty to charges that he submitted phony smog-test results to the Environmental Protection Agency, federal prosecutors in Los Angeles said Friday. Albert Mardikian, 39, abruptly decided Thursday to plead guilty to one count of mail fraud and nine counts of submitting false documents to the EPA, according to Michael Fayad, a Justice Department attorney. The decision came as the prosecution was in the midst of presenting its case against Mardikian, operator of Trend Import Sales of Newport Beach, and his nephew, Garo Mardikian, 28, of Torrance, who also pleaded guilty. The two men were named in a 35-count federal indictment returned last May 23 in a scheme involving so-called gray market autos--European versions of luxury vehicles, such as BMWs, Ferraris, Mercedes and others, imported independently of authorized dealerships. Albert Mardikian was accused of submitting EPA-required results for smog-emission tests that were never performed. Since the gray-market versions were never intended for use or sale in the United States, they must pass EPA smog standards before they can legally be sold and driven in this country, federal prosecutors said. EPA officials at the trial said importers of gray-market autos can offer the vehicles at substantially lower prices. For example, a gray-market version of a $40,000 Porsche sold by an authorized dealer in the United States could be priced at around $28,000 by an independent importer. Under the agreement worked out for the guilty pleas, federal prosecutors said that 25 other counts against Albert Mardikian would be dropped. Garo Mardikian, who worked as an engineer in his uncle's smog-testing laboratory, agreed to plead guilty to three counts of mail fraud, prosecutors said. Seven counts alleging mail fraud were dropped, they added. 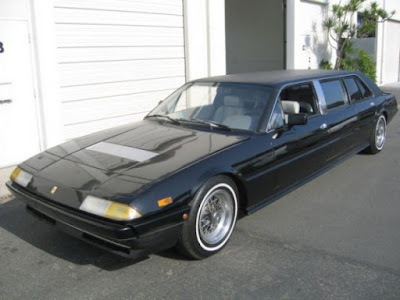 Design and fabrication of Ferrari 12 cylinder Limousine for Heads of States. At first I could not find the book mentioned in this thread: "The most beautiful cars of the world"
Peter Vann, Dirk Maxeiner: Die schönsten Autos der Welt. 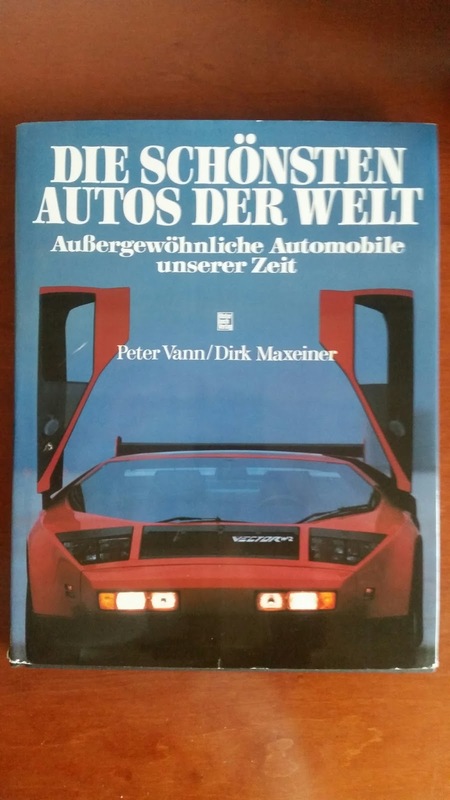 Stuttgart (Motorbuch Verlag) 1984; ISBN 3-87943-964-8. Abbildung und kurze Besprechung des Mardikian Ferrari 400 auf S. 212 ff. The German title translates exactly into the mentioned English title - I suspect, based on the name Andreas, the FChat user is a German. In any case, I found the book on Ebay and ordered it. 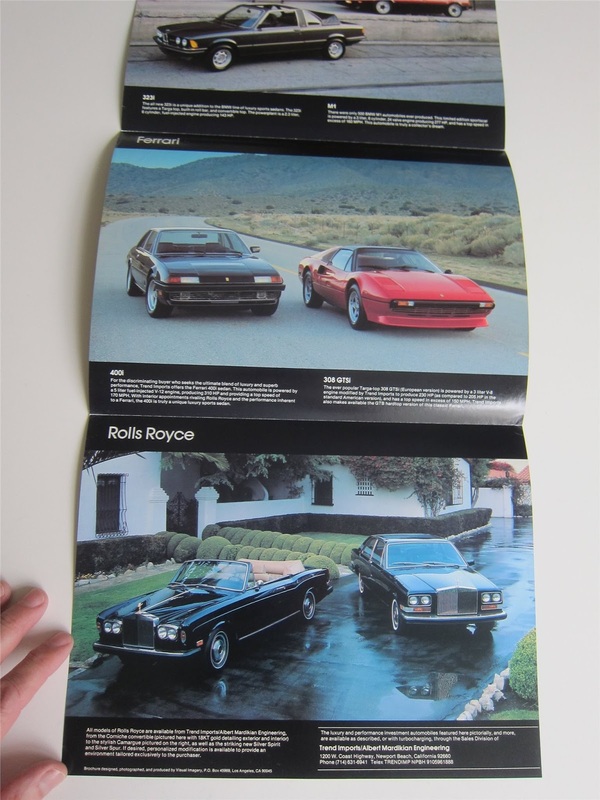 Doing further checking I also came across this book "Dream Machines" 1988 by Bison Books LTD (Brompton) ISBN 0791701859 and 9780791701850 - It looks like it has been reusing the same pictures and information from the German book. 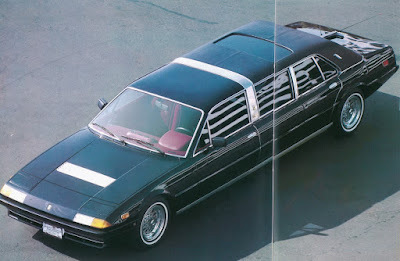 Der Berlinetta Boxer, der auf Mardikian umgetauft wurde, weiest eine rasante Form auf. Er hat ein Jahr fur die Fabrikation dieses Ferrari gebraucht, der um 1,90 m in die Lange gezogen wurde; das Ganze wurde naturlich manuell hergestellt. Der Kaufer braucht sich nur noch die Muhe zu machen, den Scheck auszustellen, einen Scheck von 250.000 Dollar immerhin. Dagegen kann der Mardikian 365GTS dem Commendatore Schrecken einflossen. 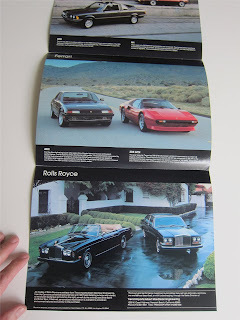 Es handelt sich hierbei um eine Ziemlich genaue Nachbildung der Silhouette des 365 GTS Daytona. Bis auf wenige Einzelheiten. Er hat ein zuruckklapbare s Verdeck und einen Chevrolet Corvette Doppel-Turbomotor! Nach seinem Datenblatt kan er 500 PS entwickeln und bis zu 320 km/h schnell sein. The Berlinetta boxer, who was renamed Mardikian, has a fast-paced form. He used a year to manufacture this Ferrari, which was pulled by 1.90 m; The whole was, of course, produced manually. The buyer only has to make the effort to issue the check, a check of 250,000 dollars after all. On the other hand, the Mardikian 365GTS can have a terrible effect on Commendatore. This is a pretty accurate replica of the silhouette of the 365 GTS Daytona. Except for a few details. It has a foldback convertible top and a Chevrolet Corvette twin turbocharged engine! According to his data sheet he can develop 500 hp and speed up to 320 km / h.
CONVERTED FERRARI BOXERS Firm coverts import into supercar that hits 188 m.p.h. 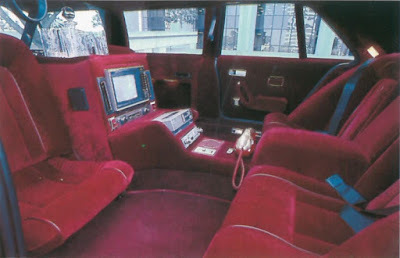 driver to adjust to the speed of the scenery flying past "The boost comes in strong at 3,000 r.p.m. like a giant hand pushing you trom Deiuno. The O-to-60 ntpJi. time is 3.5 seconds. which is one second faster than the '427 "Tflii wm !l! !i!ljniBi iRojHPrirjr-itf'u' iig i Picture an artist's studio somewhere in Italy. A young man is designing an exotic car something fantastic something that will cruise at 225 m.pJi. or go from 0 to 60 mph in 3.5 seconds. He hands the drawing to his brother, who brother goes to the machines and begins to create the parts out of metal to build this supercar. The scene is not Italy but Hermosa Beach. At Trend Imports, Albert and Jack Mardikian create dream cars for California's ultra-enthusiasts. 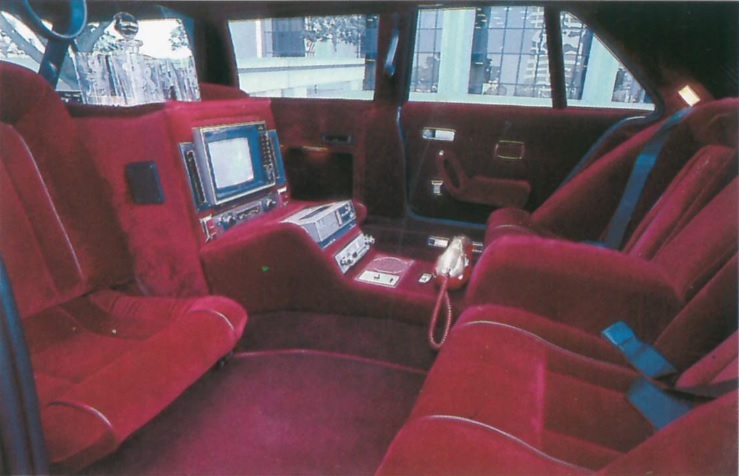 "We build cars for the discrirninating enthusiast using purebred cars like Ferraris as our base vehicle and going on from there," said Albert Mardikian, the younger brother. The Ferrari Boxer Berlinetta 512 is the basis of the Mardikian-modified car. It comes from the factory with a flat twelve cylinder engine mounted amidships. The engine in stock form pumps out 360 horsepower at 7,100 r.pjn, and through a five-speed transmission, propels the car to 188 m.p.h. The Ferrari'Boxer is not actually legal in the U.S. in stock form because Ferrari does not import the car. (Ferrari only imports the 308GTB ang GTS at the present time). 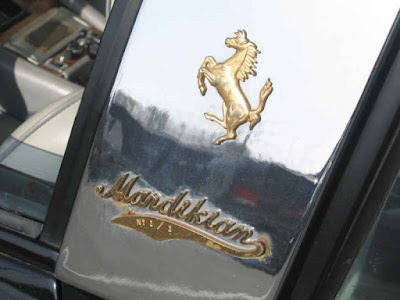 But Trend Imports takes privately owned and imported Ferrari Boxers and makes them legal through a complex process in which the cars are made to conform to applicable emissions and safety regulations. The conversion of an illegal car to a legal one is not inexpensive. 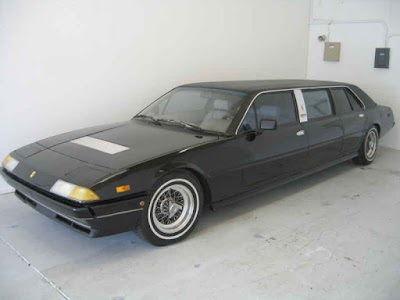 In addition to the price of the car in Europe, the price of transport and the bond that must be posted with the government to insure it is converted, the cost of converting a Boxer is roughly $17,000. "Many of my customers are doctors highly skilled professionals," said Albert. "They like things perfect And a Ferrari Boxer Berlinetta is as close as you are going to get to the ultimate sports car." covens cars. Z.sZ I,,, Ill .Mlll'l Cobra, formerly considered the fastest car ever sold in the United States. 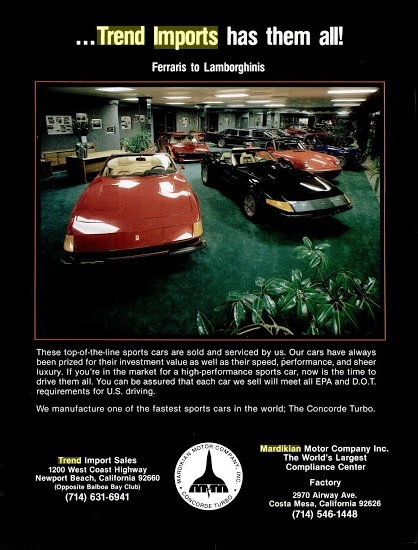 Trend Imports is known among Ferrari enthusiasts as the "Boxer Headquarters U.S.A." The firm is responsible for modifying the majority of Boxers presently in the VS. and plans to make about 12 Targa conversions a year. The firm also owns, sells many other super high speed exotics, including the 170-m.pJi. 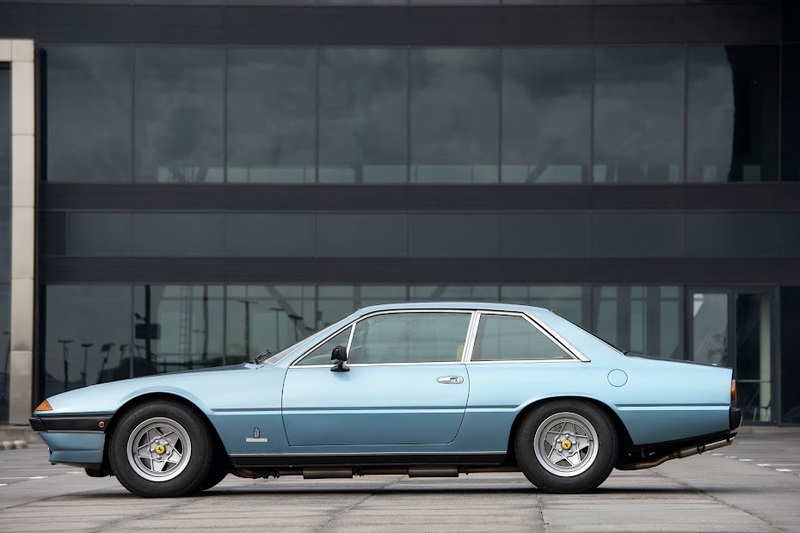 Ferrari Daytona, the 192-m.p.h. Lamborghini Countach and the 155-m.pJi. Ferrari 400 Automatic. Why build a super-fast gas-consuming car when U.S. citizens are faced with $1 a gallon gas and an energy shortage? "There's no necessity," said Albert, "for all the world's automakers to build tiny economy cars. There's room for a whole spectrum of cars a whole range. Our Boxers and Turbo Targa are on the far end of that spectrum for those perfectionists who want the absolute best in an exotic car-something you can't buy anywhere, even in Italy where the Ferrari is made." ATLANTIC Continued from Second Page which suspension parts are hung and the fiberglass body is mounted. All entries use one compound of Goodyear tires, which reduces the cost to competitors of having to carry different types of tires for different tracks. Because all teams use engines that are virtually identical in power and there is little difference in the handling and speed of the various chassis, the class is considered a driver's fornula. With many of the variables equalized, the premium is on a driver's ability. It is this characteristic of Formula Atlantic racing that has led Bernie Eccles-tone, head of the Formula One Constructors Assn. and owner of the Brabham Grand Prix team, to call Formula Atlantic one of the most viable and relevant training grounds for aspiring Grand Prix drivers in the world today.. GRAND PRIX Continued from Second Page zoni, Laffite and Depailler all are part of the Grand Prix scene. The festive weekend includes Formula Atlantic and Toyota Pro-Celebrity racing, which means Gene Hackman, Clint Eastwood, Fred Dryer, Kitty O'Neal, Don Prudhomme, Al Unser, Tom Sneva, Jane Kennedy and James Brolin will be performing the the shadow of the majestic Queen Mary just across the bay. The dizzying array of special events leading up to the big race includes T-Shirt and Fiddling contests, chili cook-offs, art exhibits, country-western concerts, a Nike 10,000 meter run, champagne receptions, media brunches and celebrity discos. . Grand Prix founder Christopher R. Pook, who visualized all of this some five years ago; Lurbi Lon, adding financial support as sponsor of the event and the City of Long Beach are co-sponsors of the Grand Prix. Grand Prix cars. Stock cars. Indy cars. IMSA cars. If ifs got an engine, four wheels and a number on its door, you can be sure ifs covered in The Times Sports Section. And because auto racing is important to so many Southern Calif ornians, The Times has a skilled writer who has made it his beat. His name: Shav Glick. And he gives you the world of auto racing. Subscribe to all the action. To make sure you don't miss a single word, from the quaHfying laps to the checkered flags, fill out the coupon below and become a Times subscriber. The 512 Boxer is converted by the Mardikian brothers to a Targa. Albert Mardikian, 32, is the designer of the team while his older brother. Jack, 47, is the engineering fabricator. Both have worked with exotic cars for many yearsiil "There's nothing like the wind in your hair when driving a sports car," said Albert. 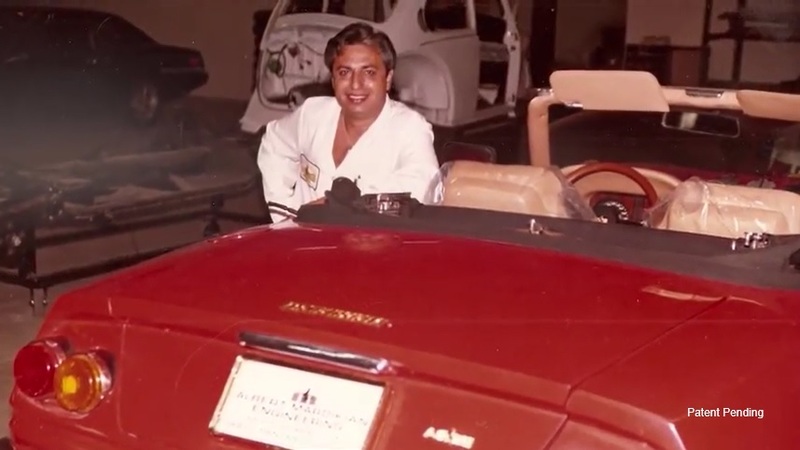 "Beverly Hills is the place where you drive a car like this to see and be seen, and you can certainly be seen better in a convertible or Targa." There was more than a year of development behind the creation of the Turbo Targa. 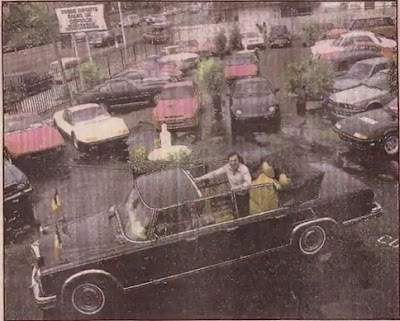 "When you remove the roof, you get a lot of flexing," Albert said. "It took over a year of adding structural members to the chassis to dial the rigidity back into the structure." The increase in speed came from the fuel injection and the twin turbos. "We replaced the carburetors with Bosch K-Jetronic fuel injection so as to eliminate the 'turbo lag' that afflicts some turbocharged cars," he said. 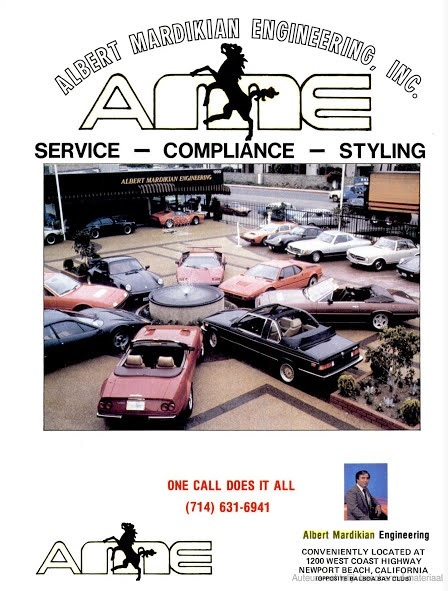 "And the injection also greatly improves the drivea-bility around town compared to the stock Webers. It's also better for emissions." The twin turbochargers increase the horsepower by as much as 40 during the maximum boost stage. The turbochargers begin to pack in air as low as 1500 r.p.m. and continue to pack in air until the peak of 8,000 r.p.m. is reached. "This car is so fast," said Albert, "that it is difficult for anyone who is not a race GP Public Relations DepartmentLos Angeles Times Times Mirror SquareLos Angeles, California .90053 Please start delivery of the daily and Sunday Times to my home at the rate of SI. 60 per week and continue until further notice. NAME. ADDRESS. CITY .APT.. -ZIP TELEPHONE. I came across this atrocity in a book from 1983 titled "The most beautiful cars of the world": They stretched a real 400 by 1.9m and it cost back then 250,000 USD. Mega outch! They also took out the original engine and replaced it with a 500hp twin turbo Chevy V8, which gave the limo a topspeed of 320 km/h. Anybody up for a trial run? The back part of the roof is a removable soft top. It does not add or reveal any interesting nor in the comments. So I'm only including it here for the records. Unfortunately I have not heard from him since despite a kind reminder. In fact all this was written up last year. So time to release this blog now (especially after yesterdays Jankel blog).